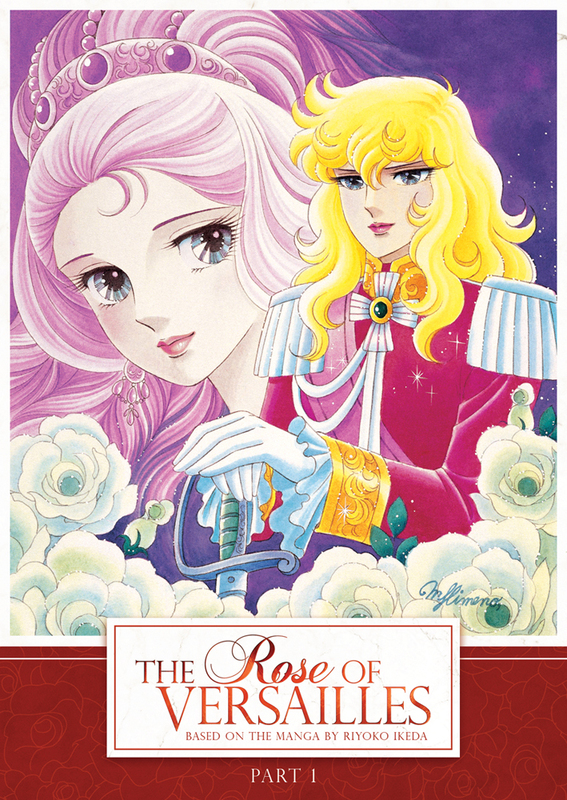 The Rose of Versailles Part 1 contains episodes 1-20. General Jarjayes - so desperate for a son to preserve the family name and noble standing - names his newborn daughter "Oscar" and chooses to raise her as a boy. Fourteen years later, Oscar is a masterful duelist, marksman, and the newly appointed Commander of the French Royal Guards. Her first task: to protect Marie Antoinette, who is engaged to the French prince and future king, Louis-Auguste. But even though the planned marriage should provide both countries with some much needed peace and prosperity, the French court is a dangerous place - and Marie's youthful naivete makes her an easy target for those who wish to see the monarchy overthrown. Oscar soon finds herself both defending Marie's reputation from those that seek to discredit her and protecting her life from those that wish to kill her. I just marathon-ed the first 5 episodes and thoroughly enjoy it so far. If you like drama and the story of Marie Antoinette, you'll love this series. The first episode focuses on Lady Oscar and then switches to Marie during the second episode. I can't wait to watch more!